Half case of Cherkees (a half case contains five 2.15 oz bags). 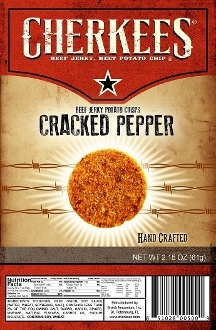 Cherkees are delicious beef jerky potato crisps made with real lean beef. Baked, not fried! Low in fat, high in protein.